Las Vegas, NV – One person has been killed and one injured in a shooting on the Las Vegas Strip. The suspected shooter was barricaded on a bus when SWAT detonated the side of it. A person was killed and another was injured in a shooting along the Las Vegas Strip Saturday and the suspected shooter is barricaded on a bus where the incident took place, according to the Las Vegas Review-Journal. 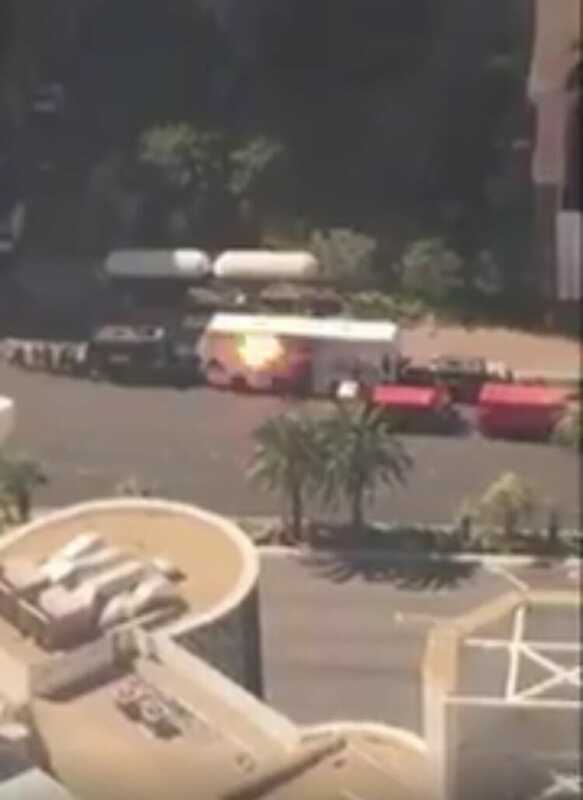 The incident was reported about 10:50 a.m. on a Regional Transit Commission bus outside The Cosmopolitan hotel at Las Vegas Boulevard near Harmon Avenue, according to the Las Vegas Metropolitan Police Department. The victims were taken to University Medical Center where one of them died, Officer Larry Hadfield told reporters near the scene Saturday afternoon. The condition of the other victim is unknown. The suspected shooter remained on the bus along Las Vegas Boulevard as of 1:30 p.m., but it is unclear if there were more passengers on board. Hadfield told reporters investigators were finding and interviewing witnesses.